A nice table top arrangement that I put together recently. The vase was a thrift store item that I purchased for $1 and the faux floral stems are a discount store purchase as well ( 7 for $1 each ). 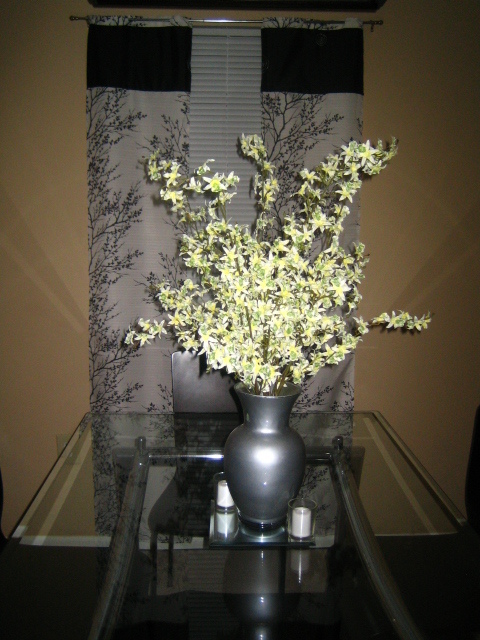 I also purchased metallic grey paint and did a redo on the inside of the vase to give it a bright flash.